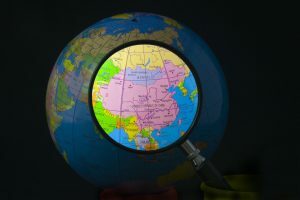 East Asian spot LNG prices fell back from their summer highs over the four weeks from mid-June to mid-July, narrowing the previously wide spread between European and Asian gas markets. More cargoes were becoming available, with tenders from producers including Papua New Guinea’s PNG LNG and Russia’s Sakhalin, and a flurry of reload cargoes drawn from Europe to the east by the high spreads seen the previous month. The ICIS East Asia Index (EAX) for August started the period at $11.500/MMBtu before falling to just over $10.000/MMBtu by the end of June, where it stabilised for a while, before drifting down further to $9.850/MMBtu on 13 July. The South America Index (SAX) held strong as buyers looking for cargoes to meet winter demand in that region had to compete against east Asia. The SAX averaged $9.837/MMBtu across the period, compared with a $10.435/MMBtu average for the EAX. Middle East prices were also supported by competition for cargoes. 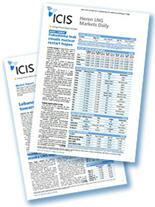 The Northwest Europe Index (NEX) held steady across the period, averaging at a lower $7.314/MMBtu. Pipeline gas markets were driving prices in Europe, rather than spot LNG. The spread between east Asia and Europe opened the four weeks at over $4.000/MMBtu, a strong incentive to reload cargoes from Europe to Asia, but narrowed over the course of the period to end at around $2.50/MMBtu. Reloads could still be workable at that level, but not as compelling. The Dutch Gate LNG facility has seen five cargoes reloaded from the terminal’s tanks since mid-May. These have headed to destinations including Jordan, Pakistan and China. Belgium’s Zeebrugge terminal reloaded a cargo on the 140,000 cubic metre (cbm) Arctic Voyager on 8 July that was delivered to Portugal. Iberian gas prices generally offer a premium to northern Europe, though not as wide a difference as between northern Europe and Asia. The French Dunkirk terminal reloaded a cargo onto the 160,000cbm Golar Celsiuson 9 July. France’s Atlantic coast Montoir terminal reloaded three cargoes between mid-June and mid-July, on the British Diamond, BW GDF Suez Brussels and the Golar Snow. 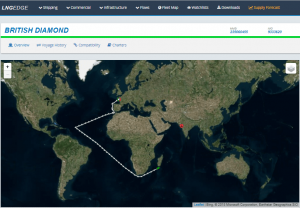 The cargo on BP’s 152,000cbm British Diamond initially looked to be heading to South America before doubling back across the Atlantic for an alternative destination. On the Mediterranean coast, France’s Fos Cavaou terminal reloaded the 156,000cbm Wilpride on 18 June, which delivered to Pakistan, while the 170,000cbm Golar Tundra was in port for a reload in mid-July. Spain reloaded the 146,000cbm Maran Gas Coronis from Bilbao on 14 July and the 173,000cbm Maran Gas Amphipolis from Barcelona the next day. In the UK, the 160,000cbm Lobito was in port at the Isle of Grain in mid-July for a reload. Russia’s Yamal LNG plant in the Arctic has now begun shipping cargoes east through the “Northern Sea Route” to China. This route is only open during the summer, and even then only to specially-strengthened ice-breaking tankers. The 172,000cbm Vladimir Rusanov and Eduard Toll both arrived at Jiangsu Rudong in China in mid-July. The similarly-sized Christophe de Margerie was following them, on a heading to Tangshan Caofeidian in China. The Northern Sea Route should allow tankers from Yamal to reach Asia in roughly half the time of the alternative route, which involves an ice-breaker ship carrying the cargo to Europe, then switching onto another vessel for onward delivery through the Mediterranean and the Suez Canal. A second 5.5mtpa production train is due on at Yamal this summer, with project partners hoping for a launch as early as August. 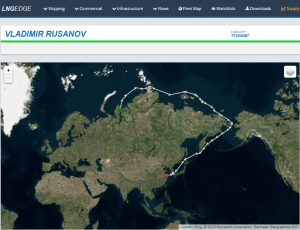 LNG Edge shows (above) the route taken by the Vladimir Rusanov through the Northern Sea to China. This voyage took lasted from 25 June to 17 July, a total of 22 days. 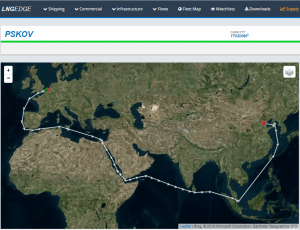 Below, the picture shows the earlier route taken by the Pskov to deliver a Yamal LNG cargo to Tianjin in China when the Northern Sea Route was still closed to shipping. The Pskov picked up the cargo from Zeebrugge on 2 May and reached China on 1 June, a total of 30 days. The cargo also had to be carried from Yamal to Zeebrugge, which took place on the Eduard Toll from 22 April to 1 May, giving a total journey time for this route of 40 days. Cameroon became a new exporter of LNG this year, with a floating production unit offshore drawing on volumes from the Kribi field. The first cargo departed in mid-May and by mid-July the project was loading its fourth cargo, from what is only the world’s second operational floating LNG production unit. Pakistan was seeking to delay some of its expected deliveries, due to lower-than-anticipated demand, sources said. The 160,000cbm Cool Explorer was initially expected to carry a cargo from Idku, Egypt, to Port Qasim, Pakistan, but then changed course away from Pakistan to wait near Sri Lanka for new orders instead. Meanwhile, the new-in-service 173,000cbm BW Lilac, on charter to BP, had a long journey for its first voyage. 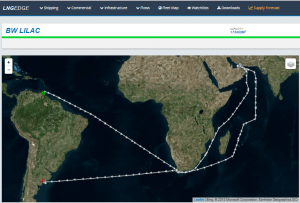 It set sail with a cargo from Trinidad and Tobago on 1 May, heading to the Middle East. However, a change of circumstances meant it could no longer deliver there, and the ship then returned back across the Atlantic to deliver to Bahia Blanca in Argentina on 14 July instead, a two-and-a-half month delivery.